Artificial Intelligence 1 (“AI”) based systems, software and devices (hereinafter referred to as AI applications) are providing new and valuable solutions to tackle needs and address challenges in a variety of fields, such as smart homes, smart cities, the industrial sector, healthcare and crime prevention. AI applications may represent a useful tool for decision making in particular for supporting evidence-based and inclusive policies. As may be the case with other technological innovations, these applications may have adverse consequences for individuals and society. In order to prevent this, the Parties to Convention 108 will ensure and enable that. 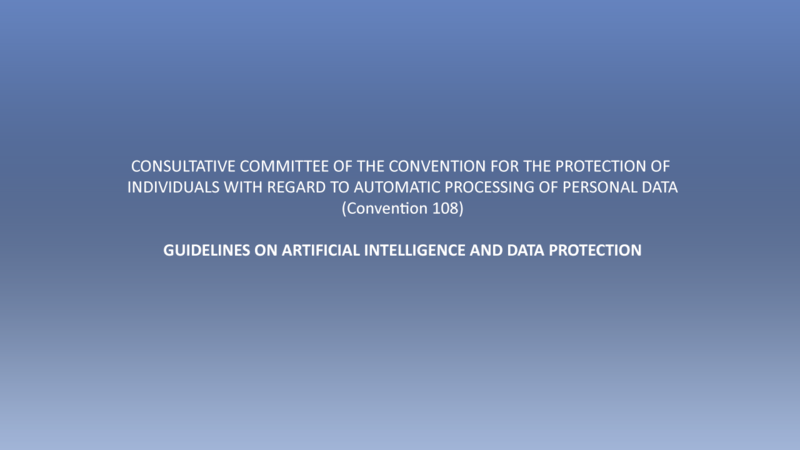 AI development and use respect the rights to privacy and data protection (article 8 of the European Convention on Human Rights), thereby enhancing human rights and fundamental freedoms. Clique aqui e veja o documento.